The city of Rome was the center of the Ancient World and well ahead of its time. After Rome fell, there would not be another city to rival it for over a thousand years. 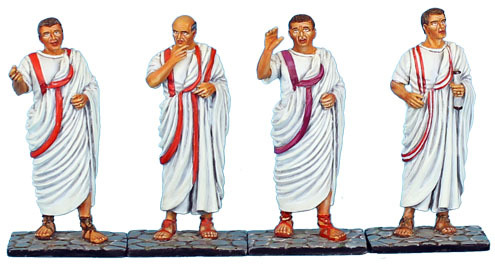 Though the majority of releases for our Glory of Rome figure range have been, and will continue to be, inspired by Rome's wars, we have created this catalog section for non-combat figures depicting Roman city life. We hope to add to it from time to time with depictions of life in the capital city of one of the world's greatest civilizations.